Every ten years when the Census Bureau goes around every last corner of the United States to count every last American citizen, the numbers indicate just how much each town has grown and expanded. The resulting statistics play a factor in how the seats in the House of Representatives are spread out, thus potentially changing the hands of power from state to state and district to district. Thus, it is clear that every city wants the totals collected from their region to be as close to accurate as possible. It goes without saying that no city wants to lose representation as a result of a miscount, especially an undercount of their citizens. So it is obvious why Mayor Michael Bloomberg has announced that the city of New York will officially be challenging the information collected by the Census Bureau. According to Bloomberg, the results show inaccurate statistics for the amount of people living in Queens and Brooklyn. 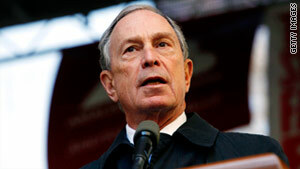 Bloomberg said that the numbers for empty housing in New York City are also not correct. The Census Bureau determined that in 2010, the population of New York City was 8,175,133, the most for any one city in the entire country. However, the number indicates only a 2.1% growth since the 2000 Census. The results also suggested that Queens only increased by 0.1% and Brooklyn’s population rose by 1.6% since the turn of the millennium. Bloomberg said that the problem was that the people from the Census Bureau checked homes off as vacant when they could not reach those living in the homes. New York City was expected to have a 2010 population of 8.4 million people. The numbers collected by the Census Bureau came up 225,000 people short of the estimated numbers. The numbers simply do not add up to the millions of New Yorkers who can tell you that the majority of the areas where growth is reported as either small or actually not happening, the truth is that the growth is definitely there. Whether the numbers will change or not and what will have to happen for the data to be altered is uncertain, but it is definite that the people of New York are not pleased.